According to TechSci Research report, “Singapore Internet of Things (IoT) Market By Platform, By Component, By Application, Competition Forecast & Opportunities, 2013 – 2023’’, IoT market in Singapore is projected to grow at a CAGR of more than 20% during 2018 - 2023. The government’s increasing focus on Smart Nation Project, growing demand for smart home applications and devices, increasing number of technological advancements coupled with strong demand for big data analytics and cloud services would propel the country’s Internet of Things market in the coming years. 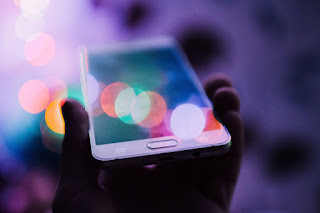 Additionally, increasing smartphone user base and internet penetration is boosting the number of connected devices across the country, thus driving the country’s IoT market. IBM Singapore Pte. 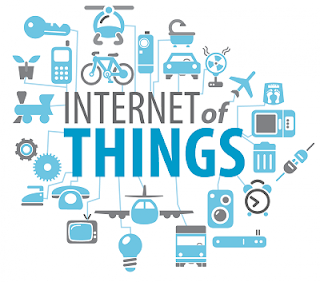 Ltd., Intel Technology Asia Pte Ltd, Cisco Systems Singapore, and Singapore Telecommunications Limited are among the major companies operating in Singapore IoT market. North-East region accounted for the largest revenue share in 2017 and is anticipated to maintain its market dominance during the forecast period as well, on the back of increasing presence of IoT enablers as well as IT and semiconductor hubs in the region. North-East region is also witnessing huge adoption of emerging technologies. With growing demand for IoT components in Singapore, their deployment is also gaining momentum across various applications. Hardware components dominated the country’s IoT market, owing to declining cost of sensors and other hardware components required for communication of various devices within the network. “Smart manufacturing refers to the enhancement of productivity and efficiency of manufacturing operations through IoT devices and applications. It involves integration of sensors into traditional manufacturing equipment and making the use of latest manufacturing equipment that comes with pre-installed IoT sensors. Over the next five years, adoption of these smart manufacturing equipment is expected to increase across the country, which would boost Singapore IoT market through 2023.”, said Mr. Karan Chechi, Research Director with TechSci Research, a research based global management consulting firm. “Singapore Internet of Things (IoT) Market By Platform, By Component, By Application, Competition Forecast & Opportunities, 2013 – 2023’’ has evaluated the future growth potential of Singapore IoT market and provides statistics and information on market size, structure and future market growth. The report will suffice in providing the intending clients with cutting-edge market intelligence and help them in taking sound investment decisions. Besides, the report also identifies and analyzes emerging trends along with essential drivers and key challenges faced by Singapore IoT market.